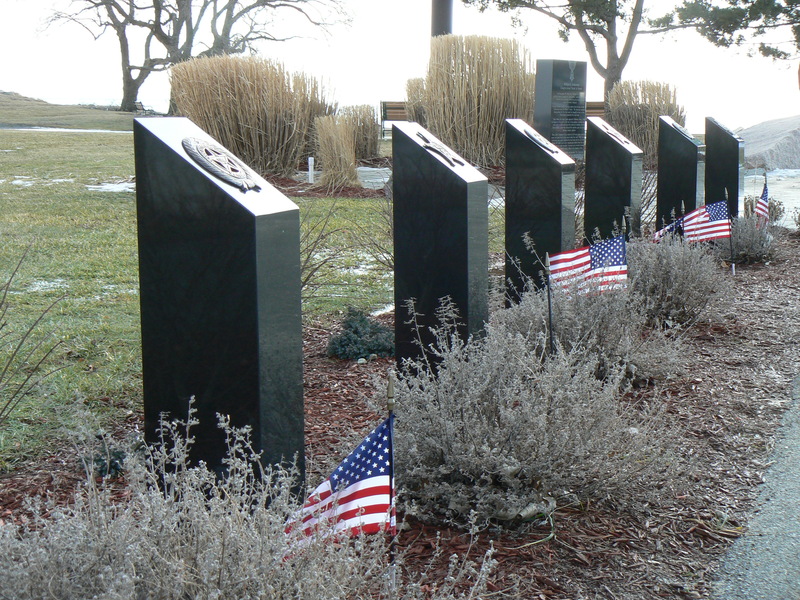 On President’s Day, we’re highlighting West Haven’s Veterans’ Walk, a collection of monuments and tributes at Bradley Point that was dedicated in 2007. 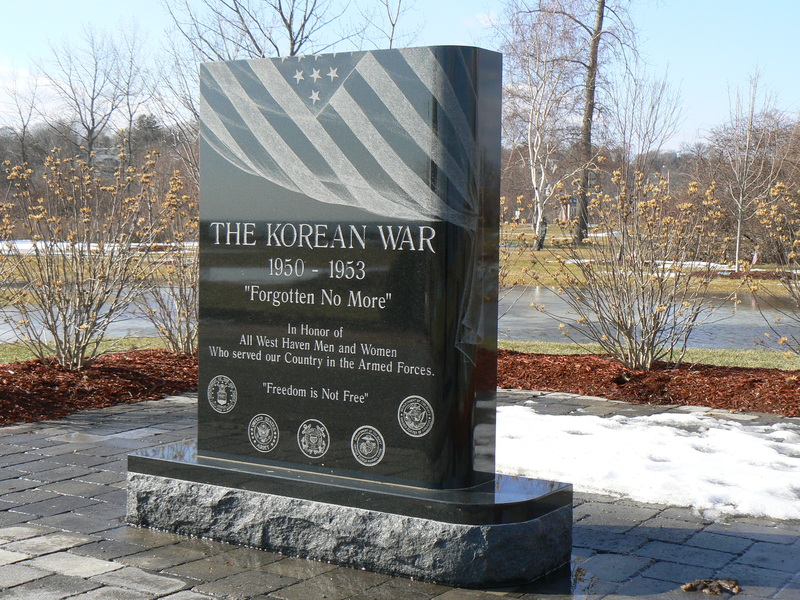 Two matching black granite monuments are located near the Vietnam memorial. One is dedicated to the residents who served in the Korean War. 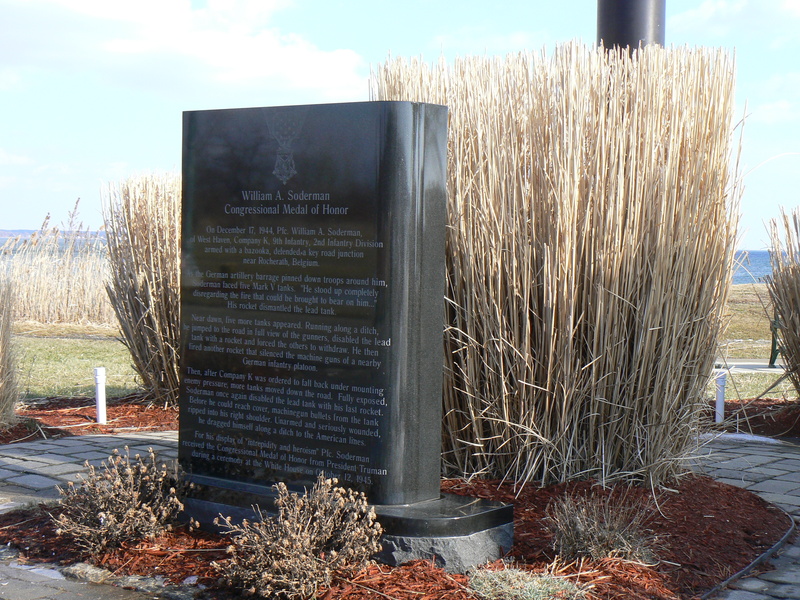 The other is dedicated to William A. Soderman, who was awarded the Medal of Honor for defending an important road junction against German tanks in 1944 with bazooka fire. 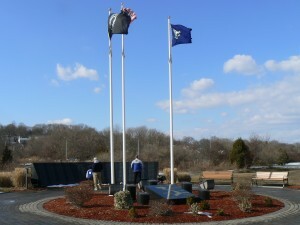 Also near the monuments are a series of smaller pillars displaying the logos of veterans’ organizations from all of the wars fought by the United States. 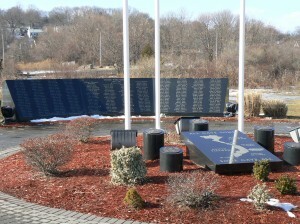 The sidewalks leading visitors through the Veterans’ Walk area are lined with commemorative bricks bearing the names of local veterans. 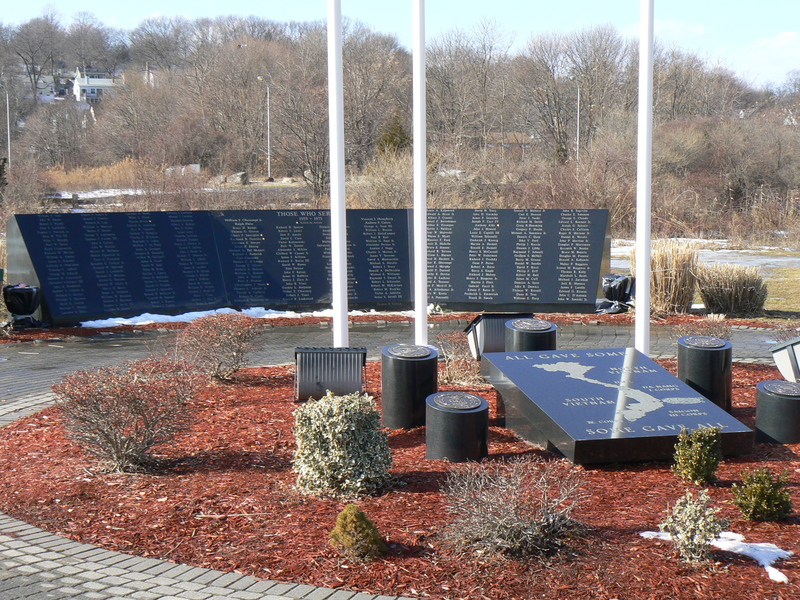 Not far from Veteran’s Walk is a monument dedicated to the victims of the September 11, 2001, terrorist attacks, as well as a monument to the veterans from West Haven’s First Avenue who fought in World War II. 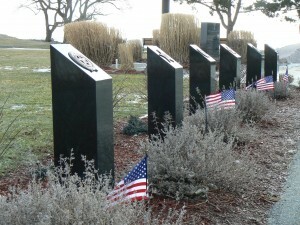 West Haven has a collection of World War II monuments in several locations that will be featured in a future post. Bradley Point, located on the west shore of New Haven harbor, sits next to the Savin Rock area that hosted seaside amusement parks until urban redevelopment efforts were launched in the 1960s. 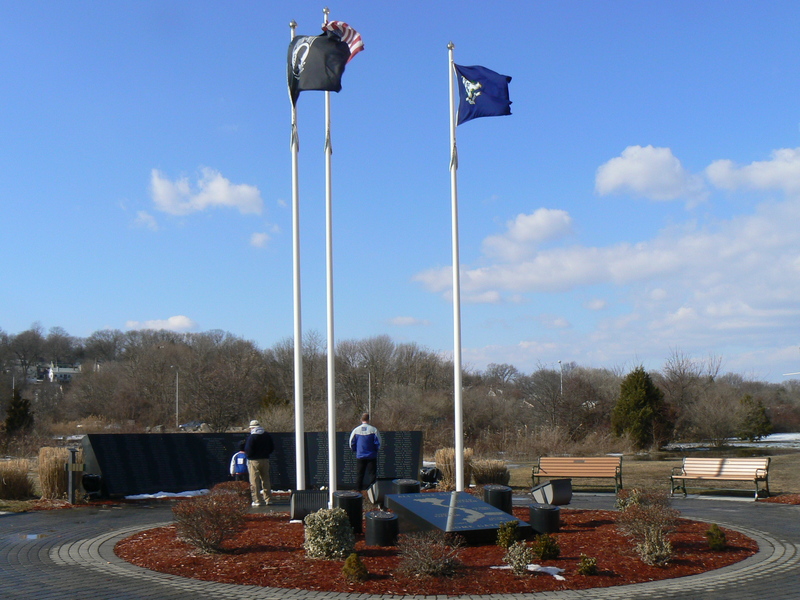 Bradley Point was also a landing area for British troops who invaded New Haven in 1779. The Defenders’ Monument dedicated to colonists who resisted that invasion was highlighted in a post on January 28, 2009. Previous PostPrevious Lincoln Spoke Here. Kinda.